For many Americans, Nigeria is an enigma. And then there are those stories about kidnappings, abductions, political and economic corruption, the religious spats between the Muslim North and the Christian South, those pesky email scams and renewed interest in a civil war that nearly split the country in two. As Nigeria continues to dominate public discourse and turns up in all sorts of private conversations, here are four facts that might provide some context for these conversations. The idea that threads them is that Nigeria, like any other nation, is multifaceted and multilayered. There’s the perception that many western African nations, like Nigeria, gained their independence from Great Britain in the 1960s and have been perfecting that democracy for some 50 years now. That’s not the case. Nigeria’s presidential election in 2011 is widely considered to be the first transparent, fair and corruption-free transition of power since its independence. The country flip-flopped between military dictatorships and brief stints with democratic administrations for approximately 30 years. The few democratic elections that took place since democracy was reimplemented in the late 1990s were fraught with corruption. During totalitarian rule, dictators would take the country’s oil profits and stash them away in off-shore accounts for their personal use. The culture of corruption that is often associated with Nigeria is thought to be a result of those shoddy regimes that condoned and rewarded bribery, fraud and theft. Nigeria recently bumped South Africa from the No. 1 slot and is now the richest economy in Africa. 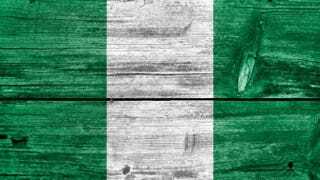 Nigeria, which hadn’t recalibrated its gross domestic product calculations since 1990, recently factored in burgeoning sectors like e-commerce, mobile phones and the Nollywood movie industry. Once it did that (and included the profits received from being Africa’s No. 1 oil producer), analysts realized that Nigeria was the continent’s most robust economic powerhouse. To add more context, of the nine black billionaires in the world, four are Nigerian. Talk about an overrepresentation in the Black Billionaire’s Club. Sadly, not all of that wealth is trickling down. As of 2011, nearly one in four Nigerians was unemployed. Although there are informal job sectors that are percolating behind the scenes, these markets don’t necessarily show up on formal sensors that evaluate and assess economies, as author Dayo Olopade points out. There are more people living in Nigeria than in any other African country. Its population is approximately half that of the United States. And get this: One in four Africans is a Nigerian. Nigerian women are educated, vocal and passionate and have a clear vision for how their family members ought to conduct themselves. They play a “major role in social and economic activities” and are highly visible partners while they co-manage their households alongside their husbands.